Still time to submit to issue #2! 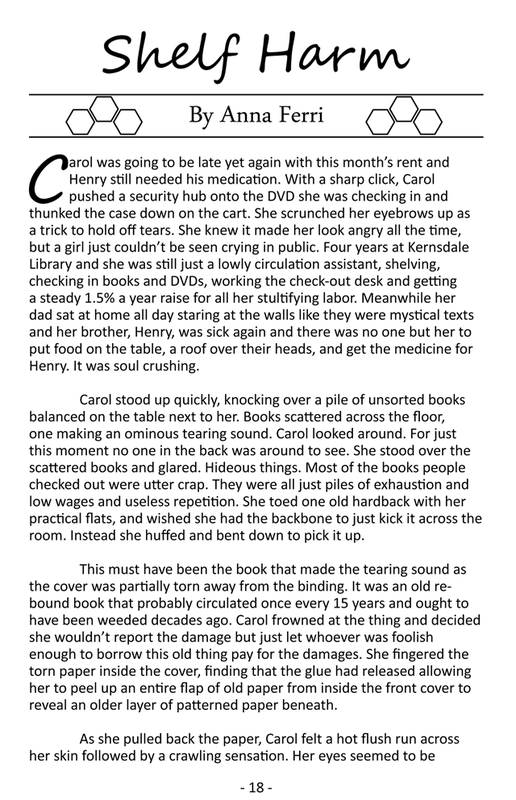 The deadline for submissions for issue #2 of Two Fisted Librarians is DECEMBER 31ST! 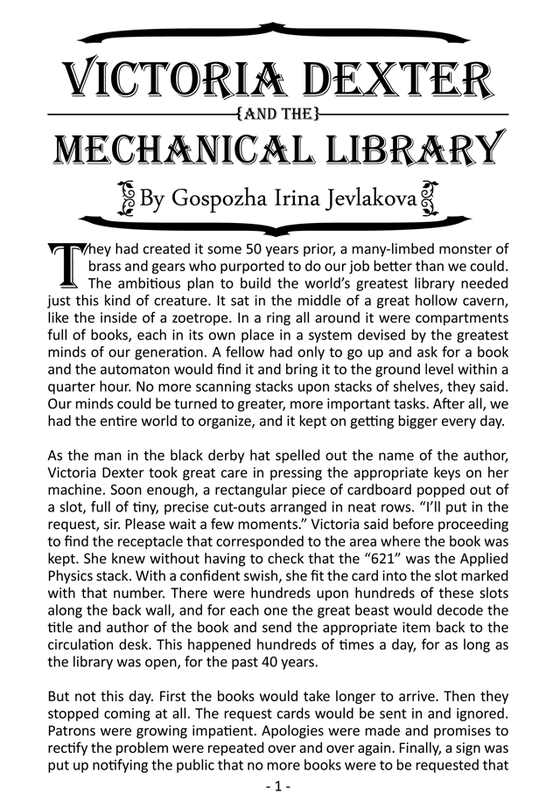 You've still got lots of time to write about a shark who is also a librarian, draw a picture of the library that time forgot, or create a cataloguing method that drives people mad! Anyway, here's the second! Anna Ferri wrote Shelf Harm. Two Fisted Librarians is available at events where the Small Press Pittsburgh pop up zine stall appears. Here's a photo of TFL at the Pittsburgh Zine Fair on Sept 22, 2013. Photo by Larry Rippel. The Small Press Pittsburgh pop up zine stall will next be at The Gallery Crawl in downtown Pittsburgh. 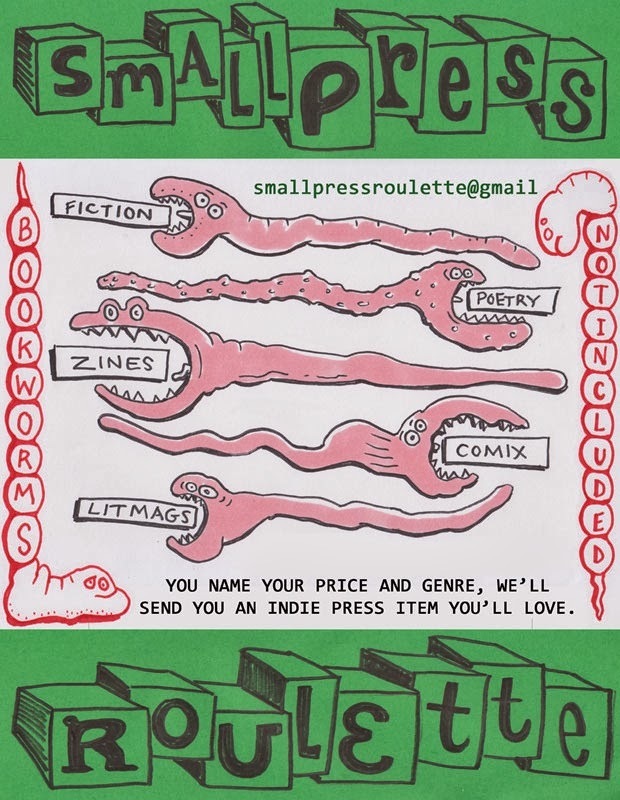 They also have a thing called Smallpress Roulette, which you can find on their etsy. Flyer art by Paola Spina. Anyway, here's the first! 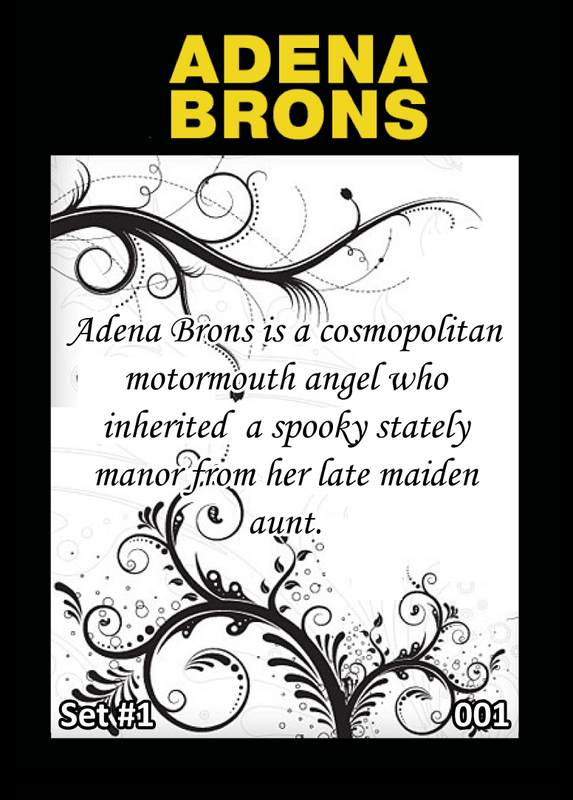 Adena Brons wrote Meta Danger. What will we do for future contributors? Who knows! But you should make sure to submit something to issue two of Two Fisted Librarians before the October 31st Deadline if you want to find out! 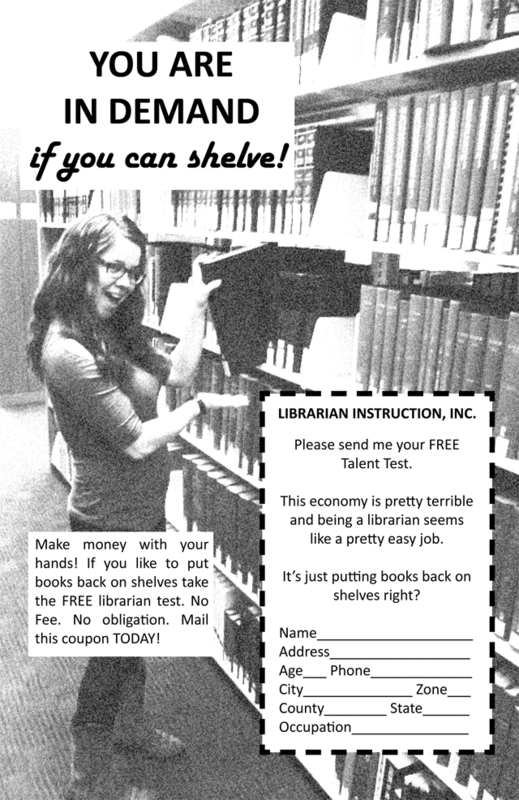 Where can I find Two Fisted Librarians issue #1? When last we checked Two Fisted Librarians #1 was available in the following locations. Send me an email and we'll work something out. 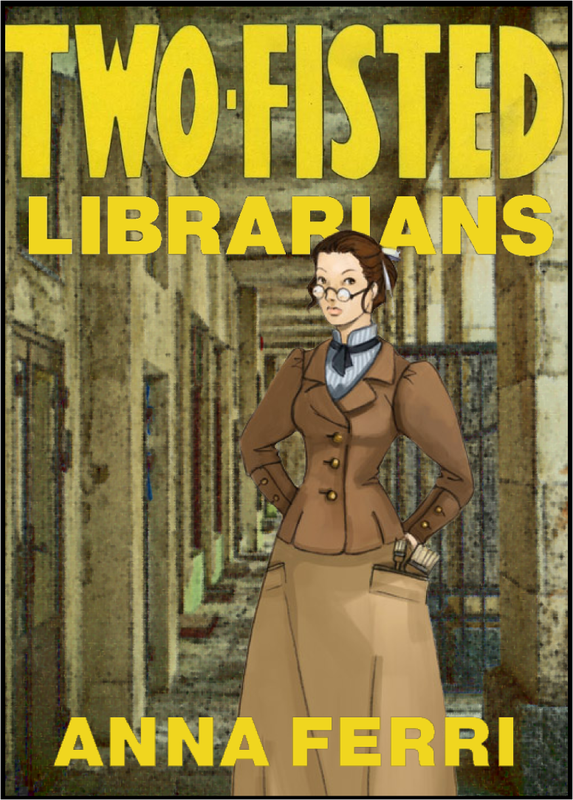 You can now buy Two Fisted Librarians on Etsy. Two Fisted Librarians at SLAIS! It's the start of the school year, and recently Two Fisted Librarians was invited to participate in the LASSA (The Library and Archival Studies Student Association) orientation for new students at SLAIS (School of Library, Archival and Information Studies) at the University of British Columbia. Let's hope some of them want to contribute to the second issue! 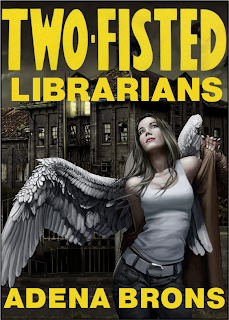 Call for Submissions: Two Fisted Librarians #2! Now that we've had our official zine launch in Vancouver (photos soon to come! 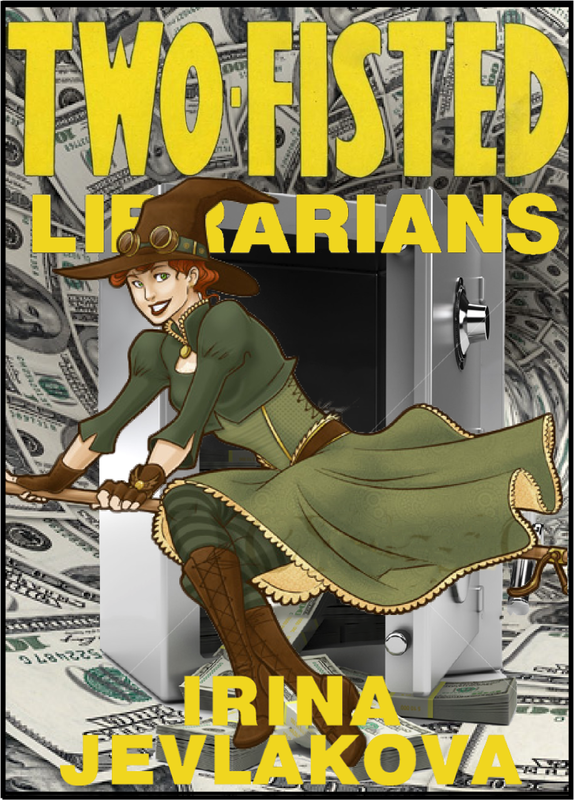 ), it's time to open up submissions for the second issue of Two Fisted Librarians! 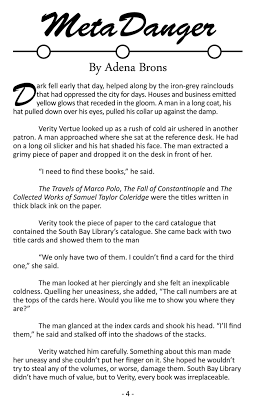 Issue 2 Deadline: October December 31st! Not sure what to create? Well, here's some helpful information! A collection of pulp-inspired fiction, comics, and art created by you (hopefully!) 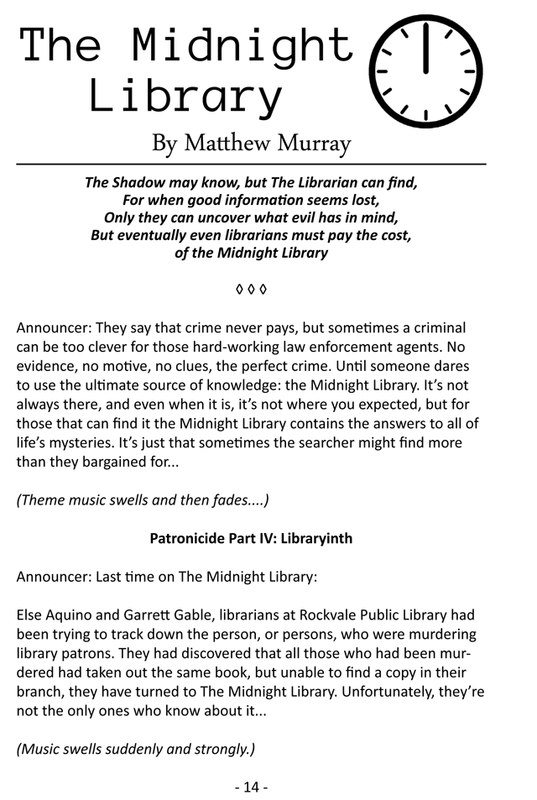 concerning libraries and librarians. 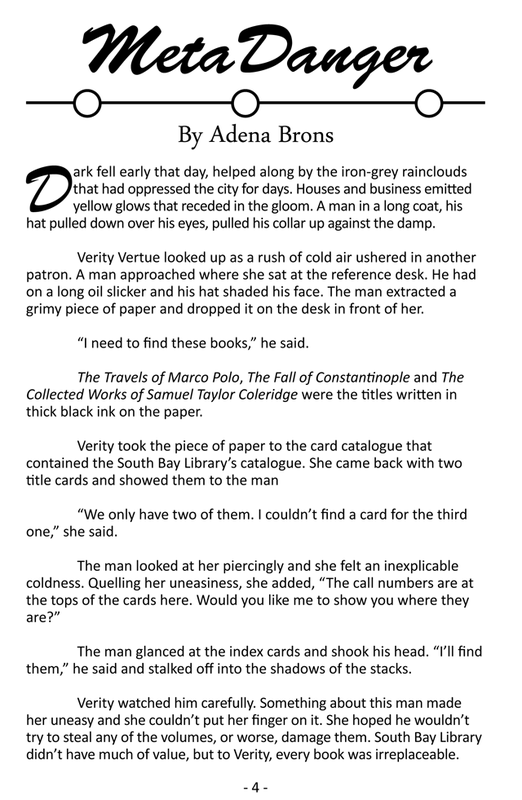 A self published, usually photocopied magazine that contains everything from recipes, to travelogues, to thrilling adventure fiction. What can I submit to Two Fisted Librarians? What: Finally! The Vancouver launch of Two Fisted Librarians! 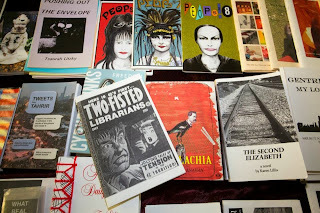 Yes, finally people in the city where this zine was born can get their hands on copies of Two Fisted Librarians. We're crashing the LASSA potluck to bring you all the best in steampunk, crime noir, and horror stories about librarians. PLUS! You'll be able to get your very own Two Fisted Librarian button. How awesome! Can I have a deadline extension? Okay, so we've gotten some great content already, but we also have some people who have asked for deadline extensions. After checking our schedules we've decided that we will be able to extend the deadline to May 15th. If you've already submitted you can continue to tinker with your piece and resubmit it, but whatever we have by May 15th is what's going in the zine. Also, please submit a bio with your contribution. 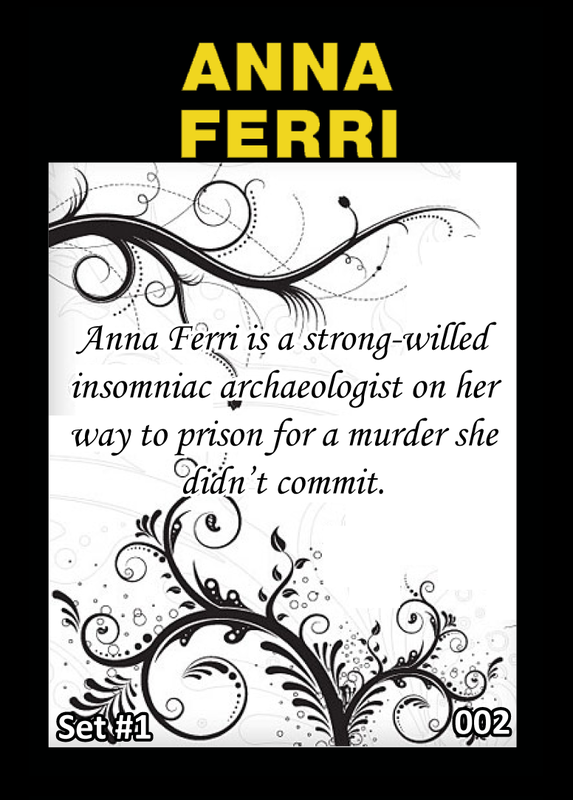 This can contain pretty much whatever you want, but should include the name you want printed with the story. Other info could include email, Twitter, or website addresses, where you work or go to school, and how awesome you are. Remember to send your submissions and bios to twofistedlibrarians@gmail.com. We don't have any strict guidelines for length, but try not to make it too long. 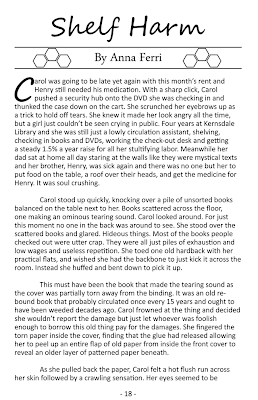 If we feel your story is too long we will ask you to try to shorten its length. 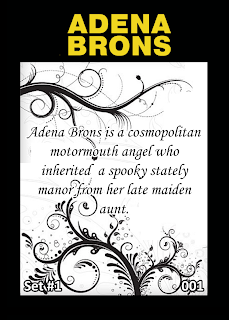 Remember that this is going to be a half size (5 1/2" x 8 1/2", the size of a sheet of paper folded in half), so if you're creating artwork try to format it for that size. How short can my submission be? As short as you want! If you want to create something that's less than a page long, that's totally fine! Where will I be able to get the zine? 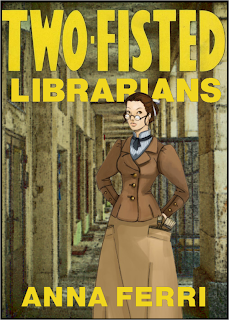 So far there are three events where you'll be able to get a copy of Two Fisted Librarians. June 27th - July 2nd The Zine Pavilion at the ALA (American Library Association) Conference in Chicago, Illinois. July 13th - 14th The Iowa City Zine Librarian (un)Conference in Iowa City, Iowa. 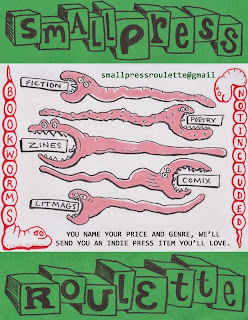 August 10th - 11th The Portland Zine Symposium in Portland, Oregon. We're open to attending other events, so if you think there's one we should go to let us know and we'll see if we can make it! The zine will also be available to order online at some point later in the summer, we'll let you know when we have more details. Do you have any other questions? 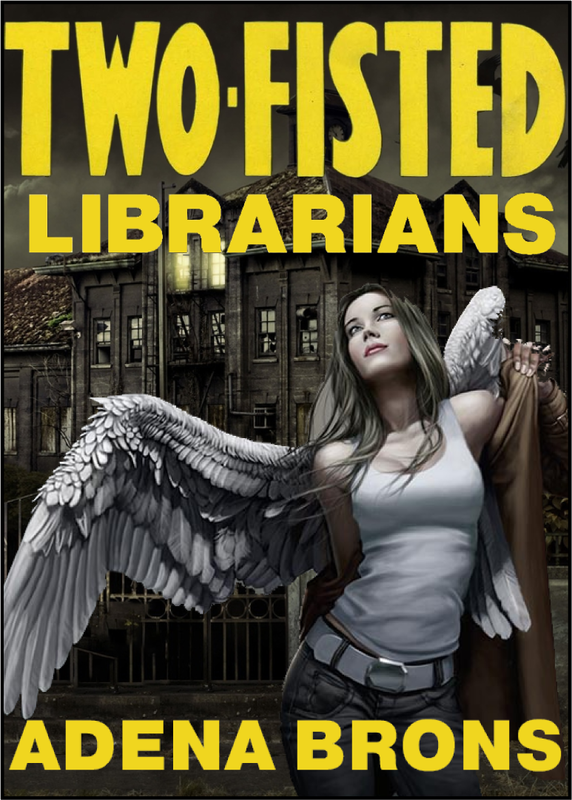 Please send them to twofistedlibrarians@gmail.com. Remember that the deadline to submit to Two Fisted Librarians is April 30th, that's just three weeks away! Of course you still have plenty of time to write or draw something spectacular for the zine (and now there are no classes getting in the way of your creative endeavours!). Just hearing from contributors about what they're working on is enough to make us want to be able to read their stories now! Clockwork octopus, laser beam battles, dinosaurs? 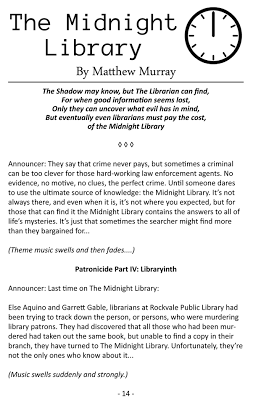 We have no idea how these things might relate to librarians but we're confident in your ability to deliver the goods in regards to awesome pulp genre fiction. If you're having trouble figuring out what to write we've been brainstorming some possible titles, here's a selection of some of the better ones. If you want to use one of these titles, go for it! 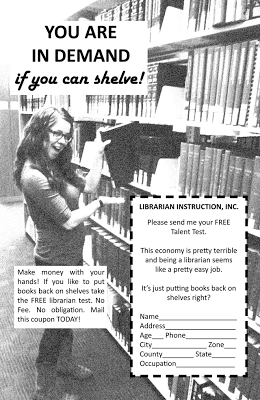 (Though maybe shoot us an email first so we don't end up with 12 stories called "Shelf Harm".) But we're sure you can come up with titles that are even better! Now it's time to get back to writing! And remember to tell your friends!